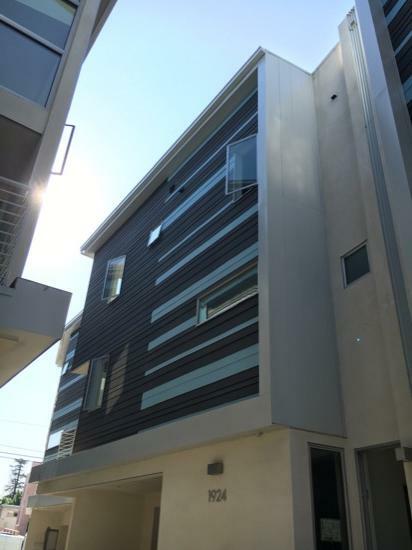 Located in the heart of Los Angeles, CA, this project is perched at a pivot point of the glamorous Hollywood Hills and an iconic Hollywood neighborhood. 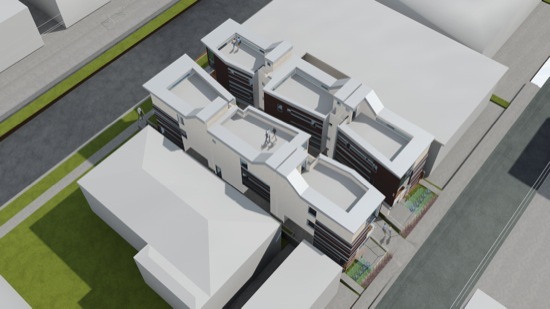 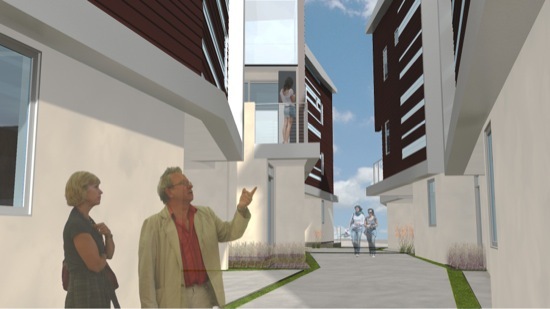 The project consists of 6 homes, each pivoting to have a façade facing either Carmen Ave. or Gower St. 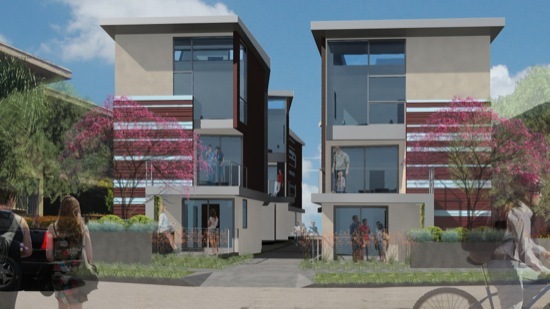 This move engages the edge of the quaint, yet hip, Franklin Village, while also providing views to the street from the middle units. 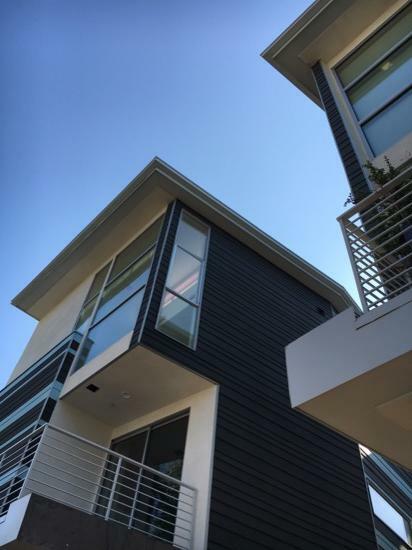 The lofty glass façades frame views of monumental sights such as the Hollywood Sign and Capital Records Tower. 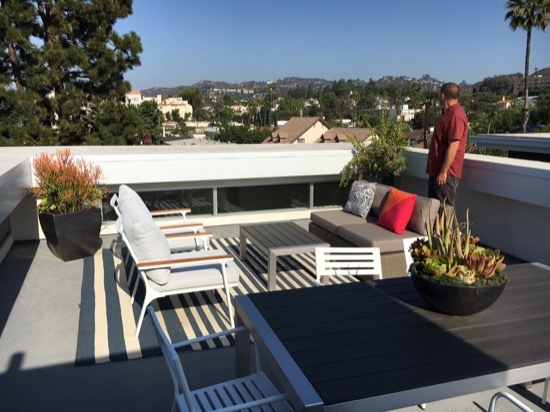 The spacious roof terraces provide stunning panoramas of the surrounding hills and the skyline of downtown. 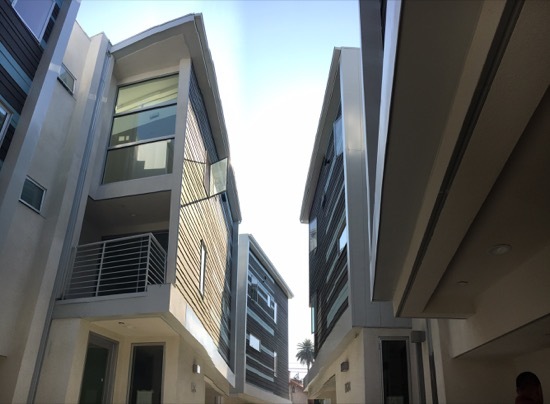 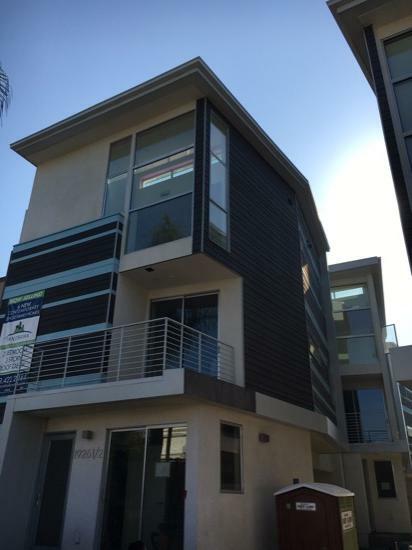 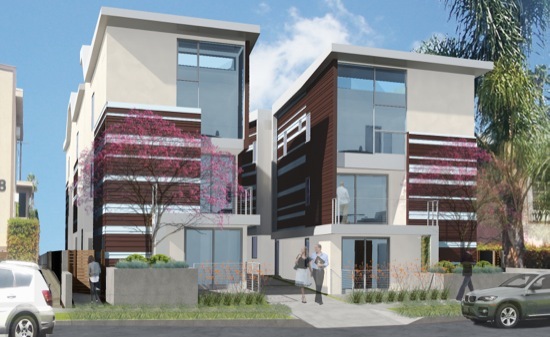 Pivot Homes respects the rich history of Hollywood art and culture while embracing the impressive built and natural context of the surrounding community.